TNPSC recruitment 2019: Interested candidates should apply online at the official website-tnpsc.gov.in. 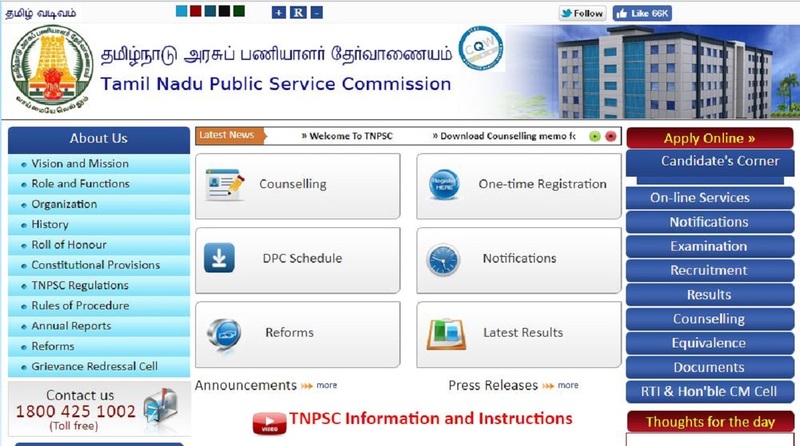 TNPSC recruitment 2019: Tamil Nadu Public Service Commission has released an official notification inviting applications for Assistant Agricultural Officer posts. Interested candidates should apply online at the official website-tnpsc.gov.in. The candidates should apply online latest by January 27, 2019. • The candidates have to pay a registration fee of Rs 150 and an application fee of Rs 100. • The candidates should be between 18 to 30 years of age. • For SC/SC(A)/ST/MBCs/DC/BCs/BCMs/ DWs, there is no upper limit. • The selection of the candidates will be done on the basis of written examination and certificate verification. • The selection will be done on the basis of objective type questions. • Paper-I will have 300 questions in the total time duration of 3 hours. • Paper-II will have 200 questions in the total time duration of 2 hours.